Britain’s Parliament felt they had the right to tax the colonies because England had financially supported the colonies’ military defenses. These defenses became very expensive during the French and Indian War, but the colonists’ argument was that they were spending many funds through local government in order to maintain their presence within the British Empire. 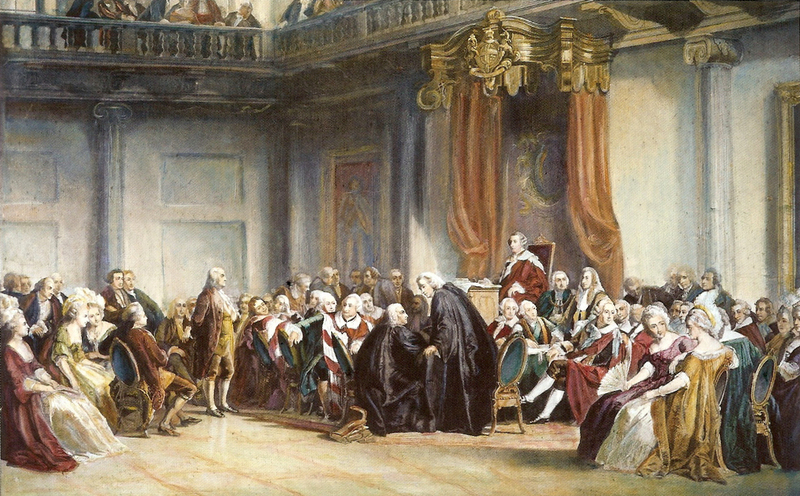 Benjamin Franklin even appeared before the British Parliament to testify about the colonies’ monetary expenditures. He said, “The colonies raised, clothed, and paid, during the last war, near twenty-five thousand men, and spent many millions.” The colonists were claiming that taxation without representation was illegal. Benjamin Franklin addressing the British Parliament.